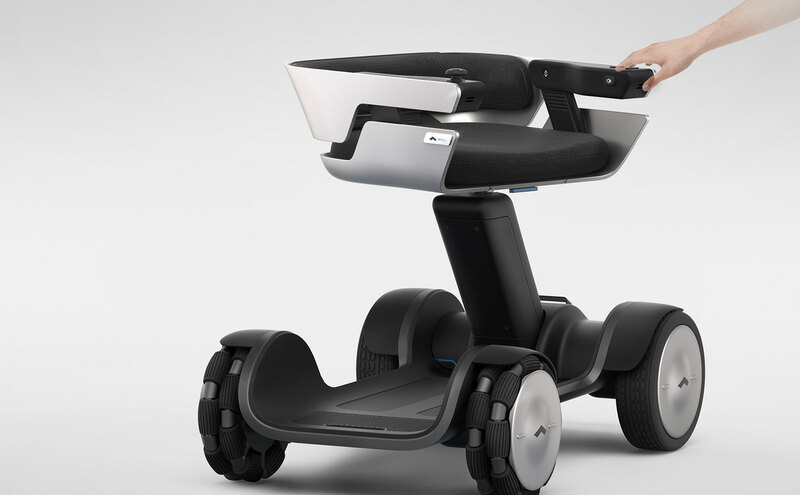 WHILL is a company that based in Japan and United States, demonstrates new innovations in electric wheelchairs. 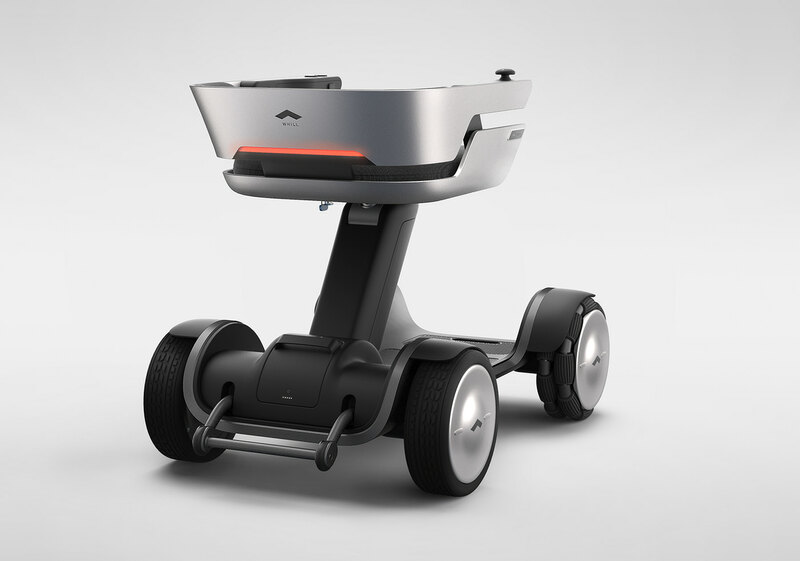 Based on the advantages of Model A and C, I designed a new concept model F. Model A is stylish and the first omni wheels applied product, model C is a portable model that can be separated into three parts. Model F, a concept model based on these products, can folded completely and also suggests new stylish exterior for electric wheelchair. The speed can be adjusted in three steps. 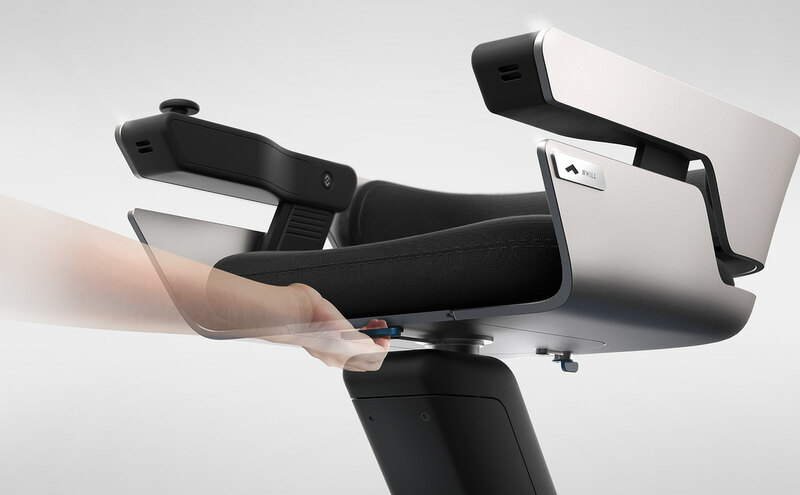 The direction joystick is on the right armrest. Press and hold joystick to turn the device on or off. The horn button is located in side of left armrest. 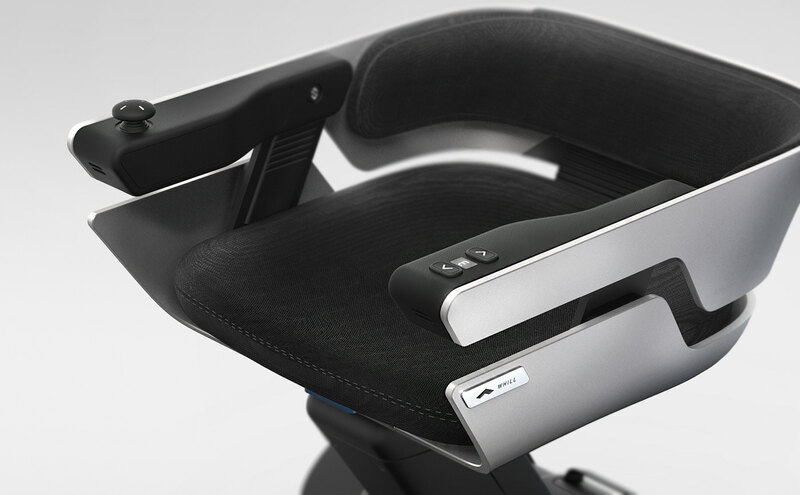 Press the buttons on the left and right armrests to adjust the height of the armrests. Unscrew the bolt located on the Back side, and slide up or down for adjust backrest. Pull the lever to turn the seat. This feature makes it easy for people with disabilities to sit. 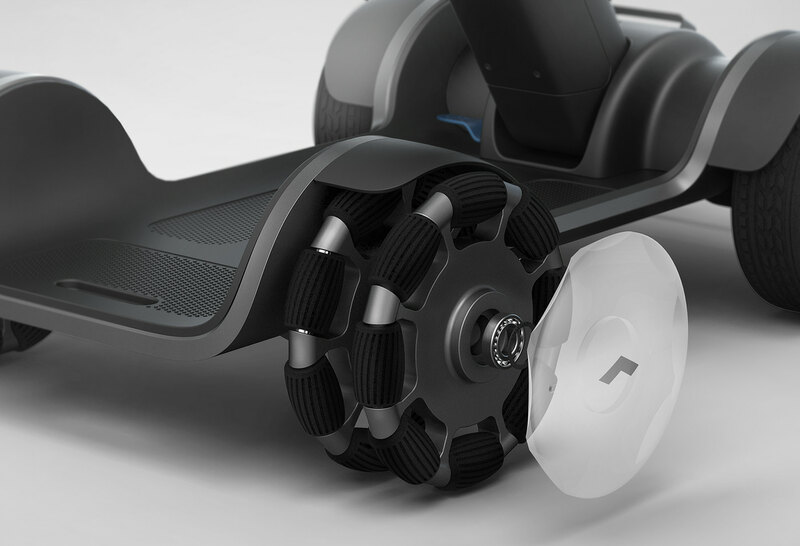 Thanks to Omni wheel, 45% less radius of rotation than the device with the steering wheel. 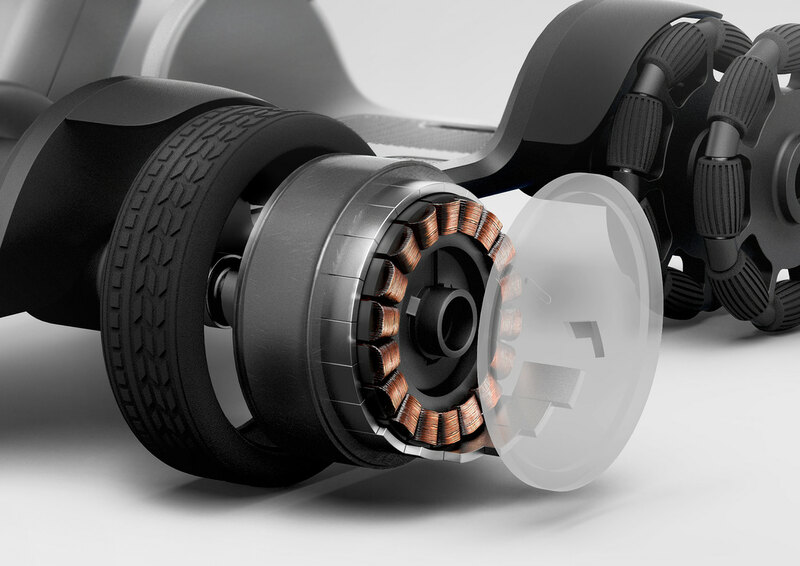 New dual Omni wheel design is easier to assemble and easier to manage than original Omni wheels. 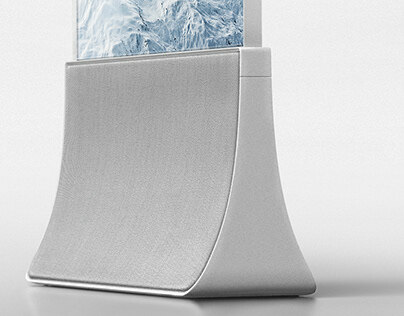 You can remove the external battery. WHILL which has removed battery has no problem when boarding an aircraft. Locked batteries can be released to the key. Press the button to see the remaining battery level. Pull the lever to fold the seat. 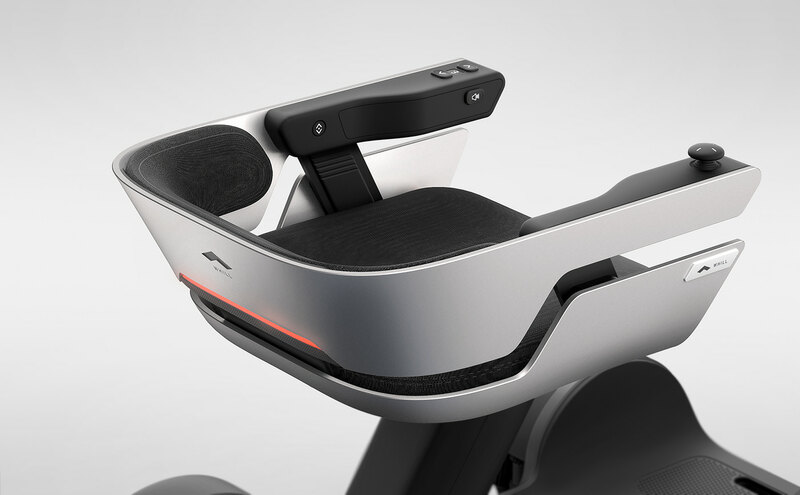 Because the frame and the seat are connected with belt, the seat is always horizontal. 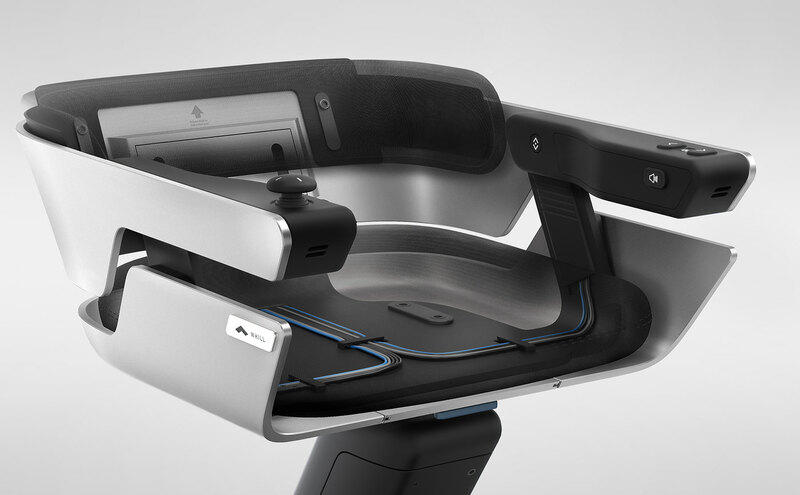 This allows the user to fold the wheelchair easily. Push the lever under the seat to separate the seat from the frame. When loading in a narrow space, disassemble the product and store it. Assembly is a reverse procedure to disassembly. 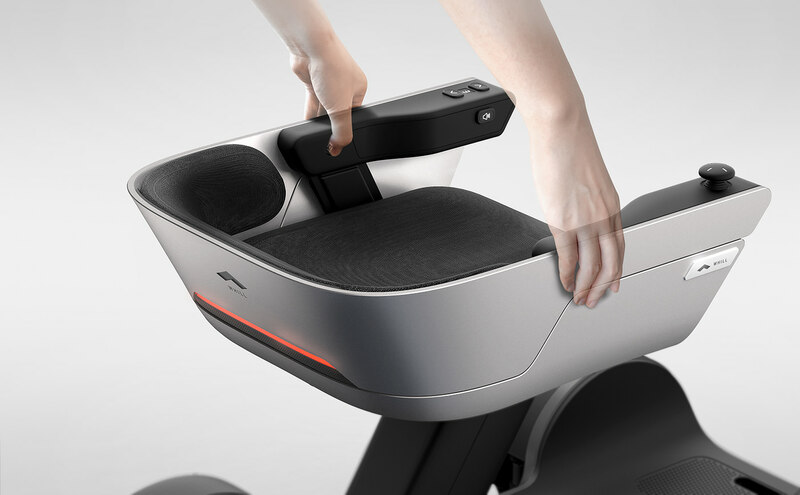 Seats and frames are connected to Pogo Pin. 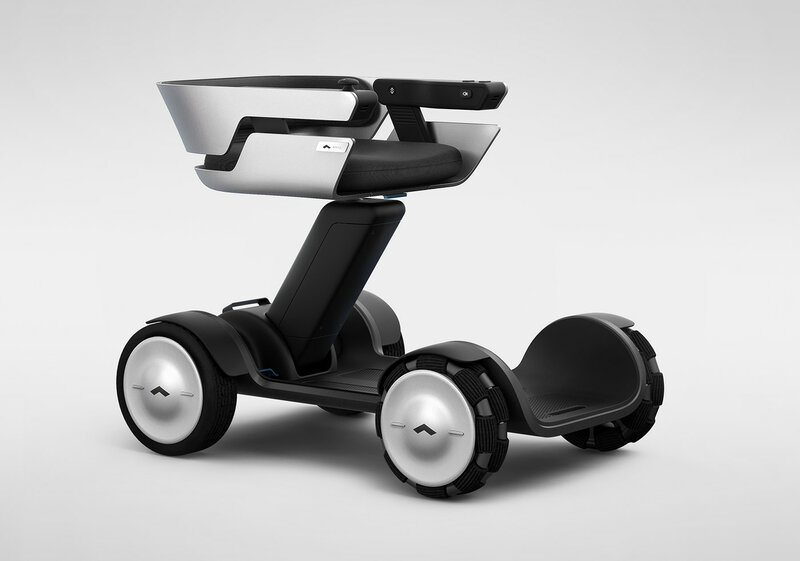 WHILL Model F is concept design of electric wheelchair.